Since last 7 years, 180 students had received the certificate from the program. Every year the candidates were selected by Daegu Metropolitan Office of Education through the recommendation of principal of each high school; and the competition rate is 5:1. The program is highly motivated and students are guided and taught by hospital staffs: doctors, nurses, paramedical workers, and hospital administrative officers and are immersed into the world of medicine as they explore the career possibilities available to medical field. 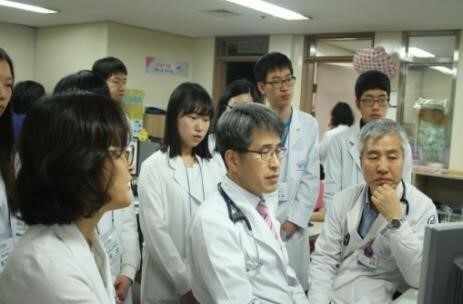 Students are featured lectures, demonstrations, discussions, hands-on session, especially, visit an operation theater and watch surgery, and go the round inpatients. This program is to help the opportunity to discover their passions and interests and discern which career path is best for them.